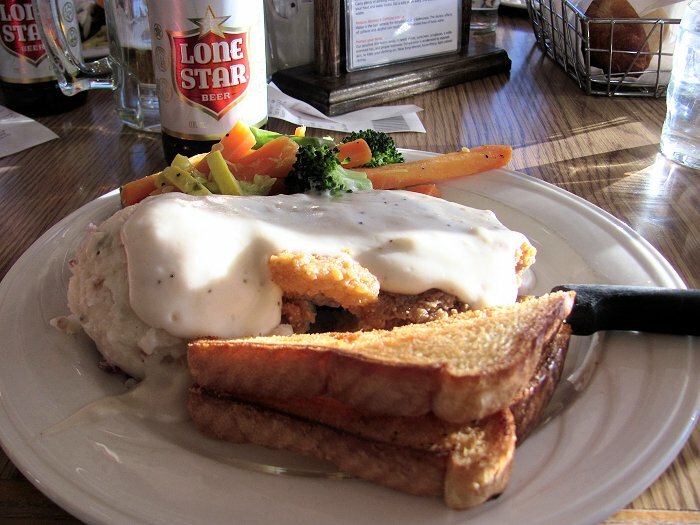 A Texas classic! 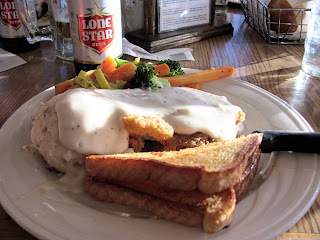 Chicken-fried steak and a Lone Star beer at the Chisos Mountains Lodge! 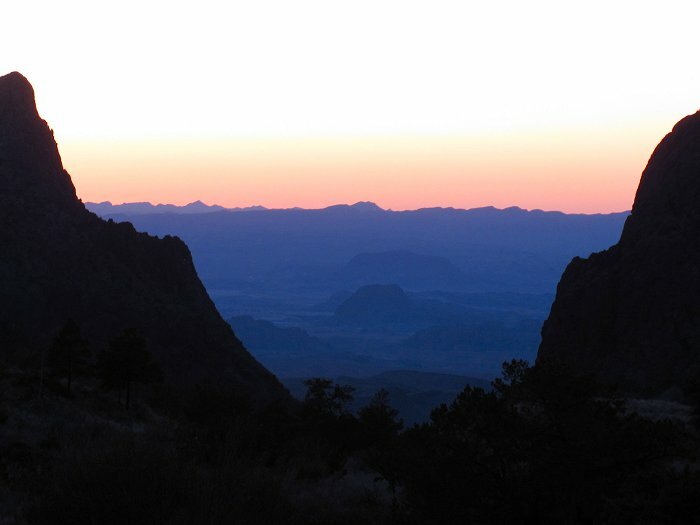 The view of sunset through the Window from the terrace of the Chisos Mountains Lodge.